Why Was “Game of Thrones” Not Eligible for the Emmys? 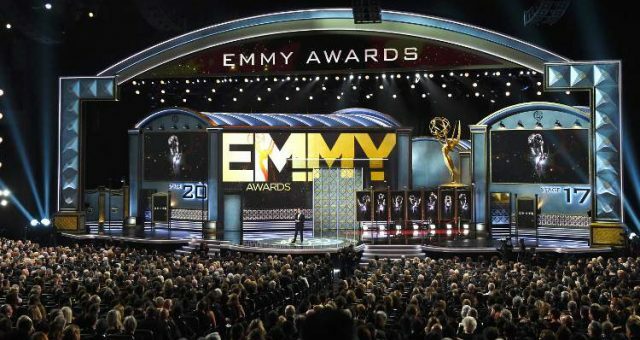 People just can’t stop talking about last night’s Emmy Awards, and we can’t blame them! While Game of Thrones earned a lot of nominations and awards in previous years, they did not get a single nomination at the Emmys 2017. After a brief mention of it by host Stephen Colbert, many are asking why Game of Thrones was not eligible for the Emmys. It should come as no surprise that Game of Thrones is one of the most popular TV shows right now. Fans are currently waiting for the eighth (and final) season to start filming. With pop-up bars, weddings, and GoT Halloween costumes taking over, it’s clear that the show goes beyond the fictional world we see on screen. At the Emmys last night, shows like Atlanta, This Is Us, Silicon Valley, The Crown, House of Cards, Westworld, and more were nominated. But where was Game of Thrones on that list? 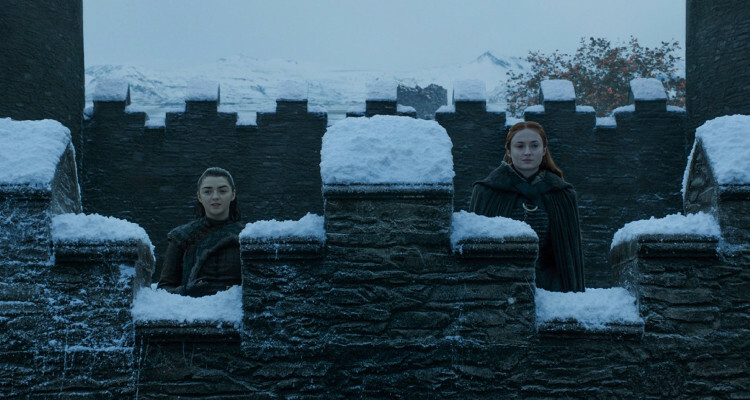 After all, Game of Thrones had more Emmy nominations and wins last year, and after it’s epic seventh season, fans were shocked to see it left out. Since it premiered, Game of Thrones has been nominated for its acting, amazing sets, and fabulous writing, which is why viewers were a little surprised when the show was not recognized at the Emmys 2017. Not even the Game of Thrones cast were at the award show! Why Was Game of Thrones Missing from the Emmys? With a lot happening in season 7, fans want to know why GoT was notably absent from this year’s Emmys. Though some were quick to speculate, the truth is that the show could not be nominated because GoT was not eligible for an Emmy this year. In order to be considered for an award, the season would have to premiere between June 1, 2016 and May 31, 2017. But Game of Thrones season 7 premiered on July 16, 2017, which means that they missed the cut-off date. However, this season will be eligible for the 2018 Emmys! Why Were the Game of Thrones Cast Members Absent from the Awards? Though many assume that the GoT cast skipped the Emmys because the show was not nominated, there is a much simpler explanation. Most of the cast is busy with other projects. Maisie Williams, who plays Arya Stark, finished filming for X-Men: The New Mutants a day before the Emmys. Sophie Turner, who plays Sansa Stark, was seen in Montreal, Canada just before the award show, and has a couple new projects lined up, including Time Freak and X-Men: Dark Phoenix. Other stars of the show, including Peter Dinklage who plays Tyrion Lannister, is also busy with different projects. Kit Harington (Jon Snow) was not there because he is busy filming a TV mini-series called Gunpowder, in the United Kingdom. So, at the end of the day, there is no bad blood between the Emmys and Game of Thrones, but we know how people love to speculate! With the explosive seventh season eligible for next year’s award, we are sure to see the cast (and their many golden statues) in 2018! 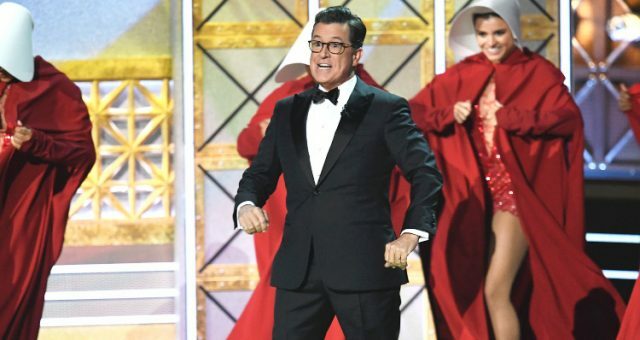 Emmys Ratings 2017: Other Shows Took Over TV Ratings, Leaving the Emmys Behind! 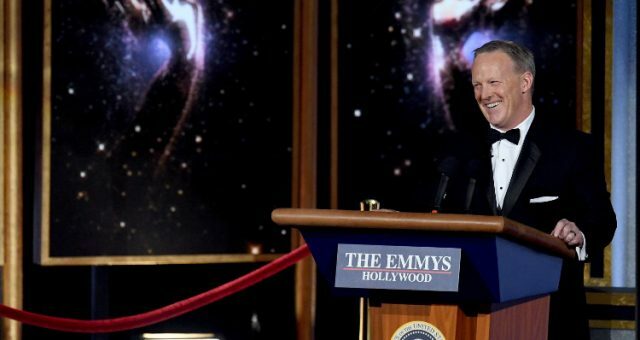 Sean Spicer at the Emmys 2017: A Cameo Like Never Before!